In 2016, the amazing Team Abana took part in the Race Across America and raised about $250,000 for Chance for Childhood. Now, three years on, they’re getting ready to take to the saddle again and tackle an even bigger challenge! In October 2019, Team Abana will be riding 3,400 miles (5,500 km) across Australia to once again raise vital funds for Chance for Childhood. Follow their journey on their Twitter and Instagram account, or find out more on the Team Abana website. Support their fundraising efforts today by donating online. In 2016 a team of four riders and 13 crew got together to raise money for Chance for Childhood by taking on one of the world’s toughest cycling challenges: Race Across America (RAAM). The ride took them 3,000 gruelling miles (5,000 km) across America over seven days. The result? Raising about $250,000 for the most vulnerable children in Africa. The money they raised went towards building a brand new Deaf School in Nyabihu, Rwanda. The school is the only one of its kind in the district and is one of just seven in all of Rwanda. It gives deaf children a chance to communicate and learn, a chance they would otherwise never have had. Read more about the school. Building it would never have been possible without the hard work of Team Abana, and their incredible supporters! The school opened in November 2018 and we were delighted to host members of Team Abana at the opening ceremony. Team Abana also supported our first ever Challenge Fund, which gave us an unprecedented opportunity to offer a combination of grant support and repayable finance to social enterprises and early stage ventures in Rwanda and Uganda. Read more about the Challenge Fund. 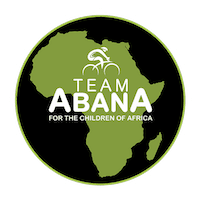 Team Abana will ride again in 2019! Later this year they’ll take on an even bigger challenge: riding across Australia to raise even more vital funds for Chance for Childhood. Take a look at the route they’ll be riding on the video below and support them by making a donation today.